I didn’t even realize it when I picked this dress out yesterday morning, but it also has polka dots. Maybe I’ll try for a week of polka dots? 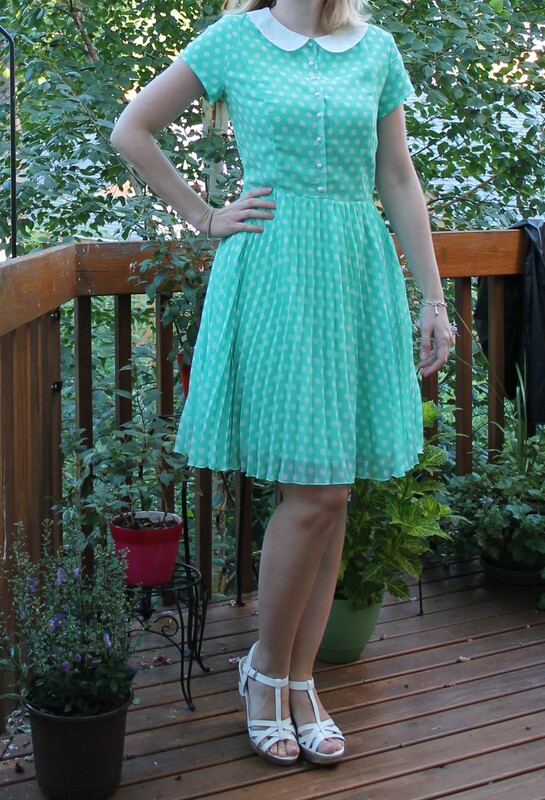 I bought this dress last year from Shabby Apple and love the adorable Peter Pan collar and swingy skirt. (See the second “action” photo.) 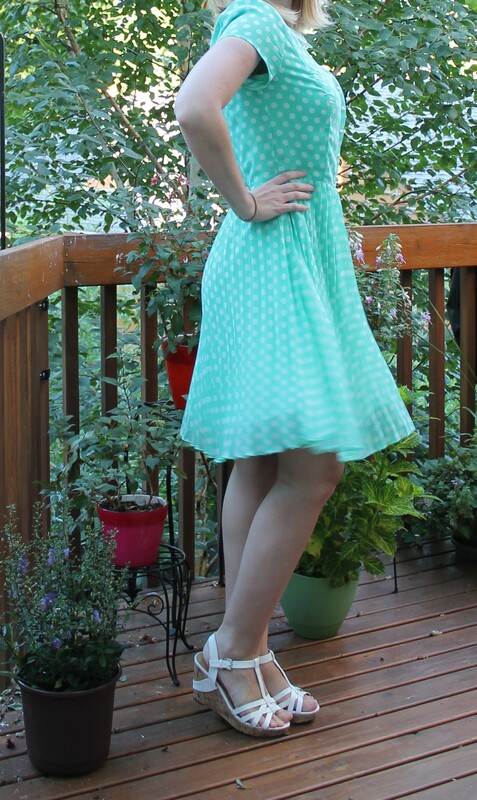 The lovely mint color is set off by the white polka dots and I felt a bit like a walking confection. The fitted upper half combined with the swingy skirt work perfect for a pear shape and helped to balance me out. I love this dress. The Dress: “One for my Baby” from the Twin Palms Collection at Shabby Apple – $68 on sale, also comes in a nice blue color.